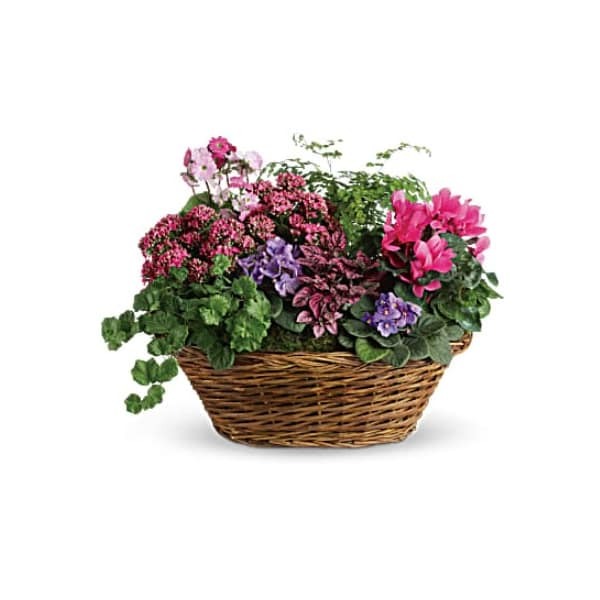 Send an expression of your sympathy with this beautiful basket of live plants overflowing with robust beauty and lively energy. The family will continue to enjoy this arrangement for years to come. • Approximately 19 1/4" High by 24 1/2" Wide. • This basket is hand arranged and delivered by a local florist. 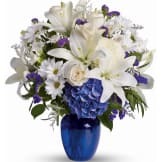 • An appropriate gift to send to the funeral home or family residence. 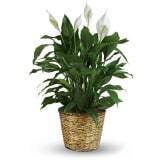 Flowers will be received by a The Maple Funeral Home's staff. 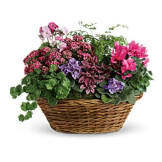 All of our flowers are designed and delivered by hand from a local florist in in Channahon.